Are you a healthcare student? If so, as a future professional or prescriber of medicine we need you to play your own vital role in slowing the rise of antibiotic resistance. Because just like current health professionals and leaders you can also act now to save our antibiotics and the lifesaving treatments that rely on them. We want you to run your own Antibiotic Guardian campaign. You could use this week’s World Antibiotic Awareness Week and European Antibiotic Awareness Day to start the conversation for the first time, or use these awareness events as an excuse to start planning a future campaign targeting fellow students or lecturers (read on for details on how you can get a toolkit to help you). We spoke to five students who have volunteered to be Antibiotic Guardian champions to ask why they feel so strongly about joining the fight against antimicrobial resistance. If I’m prescribed antibiotics, I will take them exactly as prescribed and never share them with others. Although I have stuck to this, and have also encouraged my friends over the years to do the same, I only really took the problems associated with AMR seriously after studying the topic further in my 3rd year options. Until then, I don’t think I had given much thought to how much modern medicine relies on the effective use of antibiotics and that resistance to new antibiotics can develop within a year. Even if there were many new antibiotics being developed, antimicrobial resistance isn’t just going to go away if we carry on as we have done. This changed my attitude to the way I viewed antimicrobial resistance and since then I have wanted to be more involved in encouraging this same ‘behaviour change’ and play a part in slowing the race to resistance. This is why I wanted to be part of this healthcare students planning group. Antimicrobial resistance affects everyone and therefore I think everyone has a role and responsibility to prevent a post- antibiotic era. Now I am entering my final year of university, I have decided to make another pledge which I hope to put into practice as I begin to transition from university to practice. The next time I see an antibiotic prescribed, I will ask the prescriber about the indication and duration, to understand if this is in accordance to local and national guidelines”. "Antimicrobial resistance is an increasing concern in modern society. I believe it is vitally important for all healthcare students and professionals to work together to tackle this issue, whether we deal with humans or animals, as the consequences of resistance are devastating for all species. We all use antimicrobials on a daily basis, and the effects of resistance will drastically change and endanger our ability to treat simple conditions. I got involved in this campaign to help bring more exposure of this issue to veterinary students, as well as contribute to the overall campaign, and learn more about it myself. There is a public preconception that antibiotic resistance is a result of overuse in farm animals, and that vets are to blame for the whole issue. All health care professions are responsible for misuse and overuse of antibiotics and current habits need to be changed by us all in order to tackle resistance. Through this campaign I hope we can contribute to educating students and bringing the professions together to understand the facts, so that when we enter our professional careers we can make informed and appropriate decisions." “I believe that every member of society has a role to play in combating the growth of superbugs, from as simple a thing as washing hands, to setting laws in place to see that antibiotics are used correctly and appropriately. I became a part of the Antibiotic Guardian campaign because real change is made up of individuals who come together. 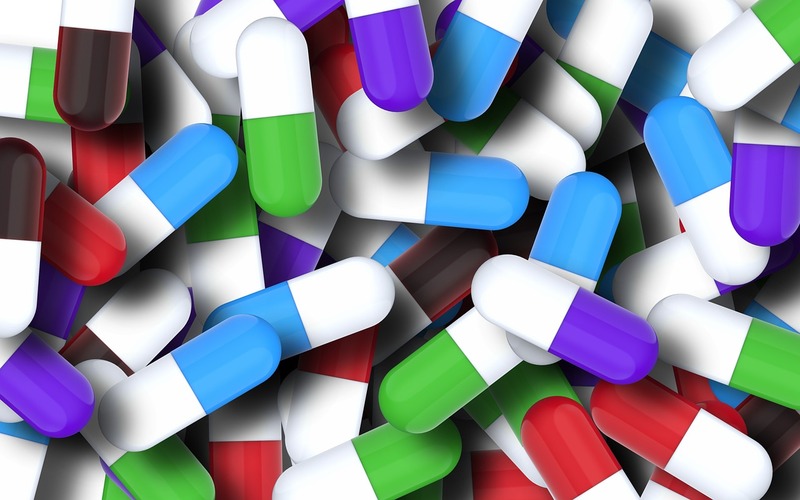 A paradigm shift in mind-set towards the use of antibiotics is still to be addressed. Leading the healthcare students planning group for the antibiotic awareness campaign, and being a part of the team, we hope to address this mindset, and encourage the public, our neighbours and friends to become Antibiotic Guardians, and choose pledges towards a more sustainable future." "My favourite part of medicine is being able to give a patient a simple solution to a challenging physiological problem. For a long time, antibiotics have been a doctor’s simple solution to serious physiological problems faced by patients due to bacterial infection. Hence, the prediction of this simple solution becoming ineffective during my time practicing as a doctor is a very sobering thought. This picture is intensified by historic medical records showing the difficulties in management and often hopeless prognosis patients faced before antibiotics were discovered. For this reason, I feel very passionate about the effectiveness of antibiotics. I believe educating everyone involved with the handling of antibiotics is the key. Doctors, nurses, pharmacists and patients need to be made aware of the current value of antibiotics and the seemingly eminent redundancy facing our simplest solution to bacterial infection. I believe the guardianship of antibiotics is everyone’s role and responsibility. Once this is realised, we will preserve our simplest solution to bacterial infection." "Antibiotic Resistance is a critical and growing threat for global health. Emerging resistance to last resort antibiotics such as carbapenems and polymyxins (colistin) means the world is drifting towards an uncertain future. Through my position as Medicine Awareness Coordinator of the International Pharmaceutical Student's Federation in 2014, I became involved in spreading awareness and educating people on the prudent use of antibiotics. The goal of this year's Antibiotic Guardian Health Students Campaign is to spread awareness among future healthcare professionals, emphasising the importance of multidisciplinary teamwork. Antibiotic resistance isn’t just a dark future forecast, it's happening now, all over the world! Join us in the fight and become an Antibiotic Guardian champion!" Please join the fight against antibiotic resistance – sign up to be an Antibiotic Guardian and pledge to take one simple action that can preserve some of our most precious medicines. If you’re a student and you want to run your own Antibiotic Guardian campaign you can contact AGCHealthStudents@gmail.com for more resources and get ideas on how to run your campaign, as well as earn an Antibiotic Guardian champion badge which you can add to your LinkedIn account.